As a food truck owner, you wear many hats. From line cook to tax accountant, your plate is typically full 24/7. 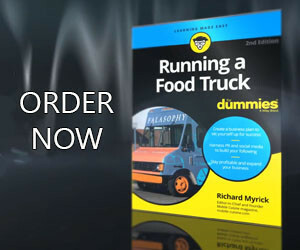 Once food truck owners being expanding their mobile food empires, they usually look to bring in professionals to help them ease the pressure by asking them to take over the tasks they specialize in. The first area many of these mobile entrepreneurs look to take off their plate relates to accounting and their taxes. When you begin to look for a tax accountant, you want one who not only can help save you money and avoid potential trouble with the IRS, but also can provide useful information for your food truck business. A good accountant will communicate what the numbers really mean to you. So shop around, interview accountants and figure out which one is the best fit for you and your mobile food business. Here are some key questions to ask an accountant to help you make the decision. The first question you want to ask revolves around their experience. You want to make sure your accountant understands the mobile food industry. Food trucks have certain rules to follow for wages and tips, for instance, just as a construction business must deal with issues related to contract workers and a real estate development firm will have certain criteria about how income is reported. You need an bookkeeper who has worked with other food trucks or restaurants and knows the ins and outs of the food service industry. Some accounting firms shut their doors after April 15 and only reopen for the following tax season. But when you’re running a small business, you’re going to need help all year. If something comes up, you don’t want to wait until tax season in order to get your issue addressed. Often people will tell you it’s important to hire a certified public accountant rather than an EA, or enrolled agent. This is because CPAs have more comprehensive certification requirements. While CPAs are state-certified and have training in such areas as financial planning and bookkeeping, EAs are certified by the federal government specifically to handle taxes and are often former IRS agents with extensive experience dealing with audits. On the other hand, a CPA will likely have more experience with broader financial planning issues. Rather than focusing on certification, focus on how your accountant’s experience is relevant to your food truck business. Accountants will often outsource work to a third party. This doesn’t mean their services are bad, but you want to be sure they are forthright about who is doing the work. If you want to talk with someone familiar with your bookkeeping and that’s a third party, it likely will be difficult to speak with him or her directly. Some accountants want to write off everything they possibly can, while others take a more conservative approach. It’s important to figure out where you fall on the spectrum and find an accountant who agrees with your philosophy. If accountants tell you they specialize in finding red flags that could trigger audits, they may be hesitant to maximize your deductions. Some accountants charge by the hour; others bill a flat rate. If you want to take a more hands-on approach to your bookkeeping, an hourly rate might be better. This is because you won’t have as much continuous work for an accountant. Regardless of the billing approach, be sure to get an estimate of an accountant’s likely fees. Provide a copy of your previous year’s tax returns so the accountant can familiarize himself with your business before giving a quote. You shouldn’t choose accountants based on the tax program they use, but it’s a good detail to ask about. QuickBooks is commonly used for small businesses, which means your information would likely be easily transferred between different accountants. Hiring a professional who uses more obscure tax software won’t affect the quality of the work, but it might make it tricky to switch accountants. Every bookkeeper will be different when it comes to frequency of communication for tax planning purposes. The final question to ask, ask about a prospective accountant’s approach and be sure you’re satisfied with the degree of communication. You want to feel comfortable calling them with issues relating to your taxes. Half the effort of hiring a business accountant is knowing when you need one. Unfortunately, there’s no distinct point in time when every food truck vendor needs to hire an accountant. When you make this determination, make sure to use these tips to make sure you have hired a reliable accountant.